AT LAST...you've finally found your new home! 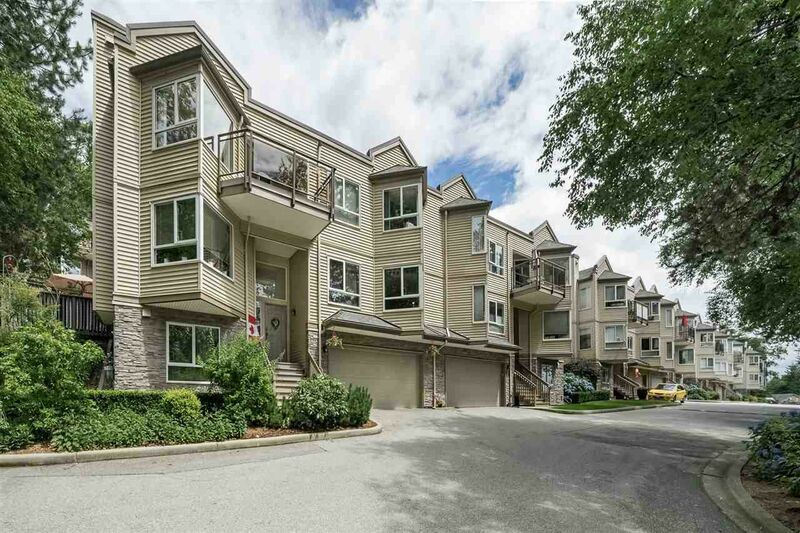 This one-owner amazing 2 level south-facing townhouse has 3 large bedrooms and 3 full baths. The XL double garage is remarkably clean and tidy with loads of extra storage. This is an end-unit siding onto greenbelt. Outside there's a massive patio, ideal for outdoor living and BBQ's. The main living space features newer laminate flooring. This formal living room is spacious and features a cozy gas fireplace. Chef's kitchen c/w newer countertops, backsplash, appliances & spacious eating area. Master bedroom boasts an oasis ensuite & shower. Lower level features a media room or guest bedroom and full bath c/w shower. There's also a finished pantry. Worry-free complex was rain-screened in 2006.